It’s National #ItalianFood Day! And it’s Galentine’s (Valentine’s) Day! AND it’s the return of Robby’s cocktails! I’m reasonably sure that if Bear & Bug Eats ever becomes famous, it’ll be because of the cocktails. For the rest of the #ItalianFood recipes, including Italian Wedding Soup (!) and Italian Cream Cake (!! ), scroll down! Thanks to Ellen from Family Around the Table for putting this together! Put ice in a cocktail shaker. Add liquid. Shake. Pour. 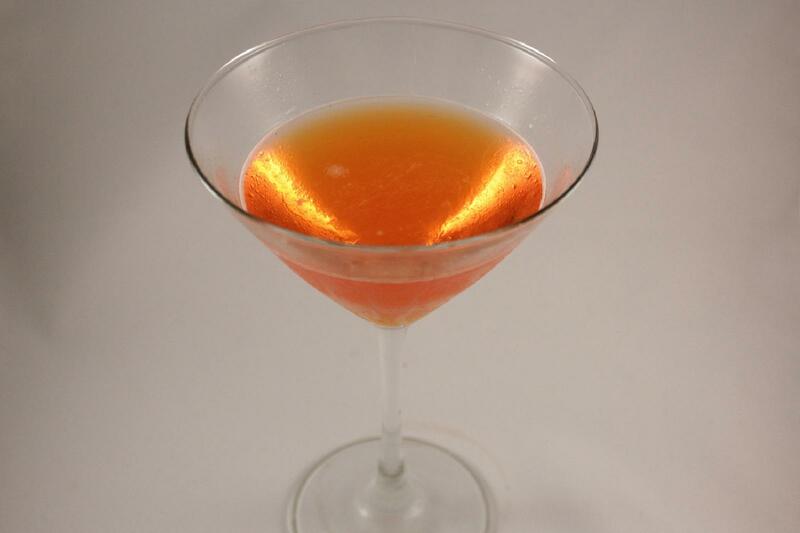 This beautiful glowy orangey-pink cocktail is distantly related to the classic Negroni, which you can name drop while hosting your Galentine’s Day party / romantic Valentine’s dinner / excuse for cocktails. 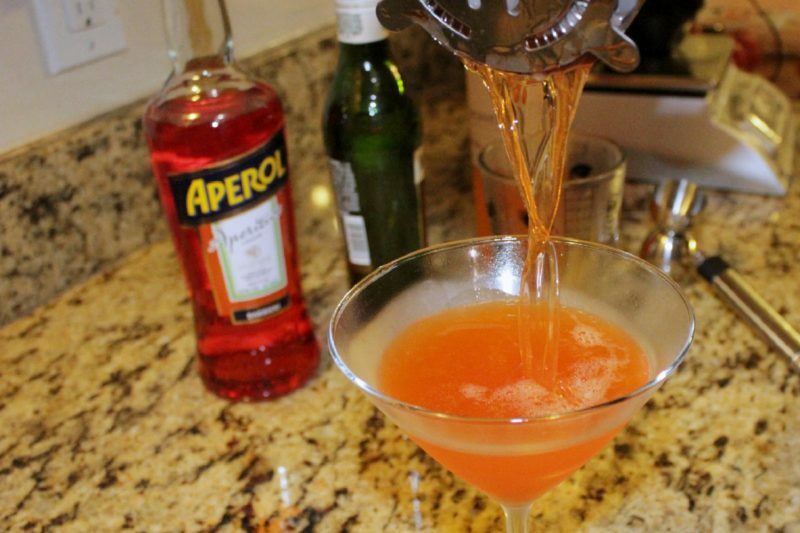 It also pays homage to Italy through use of Aperol and orangecello. To dress this drink up, float an orange peel twist right in the glass. You can also chill your martini glasses beforehand for a pretty, impressive frost and a cocktail that stays colder longer. Happy Valentine’s / Galentine’s Day! Don’t forget to check out the other amazing #ItalianFood recipes! And if you need a themed cocktail to go along with…well. If you make this cocktail or any of the other recipes, comment and let me know how it came out! Credit to Robby Burroughs for this recipe! Shake all ingredients vigorously over ice for ten seconds. Strain into a chilled martini glass. Serve! I’ve never seen Orangecello before, we would definitely love that here. Saluti! I didn’t know it was a thing either! 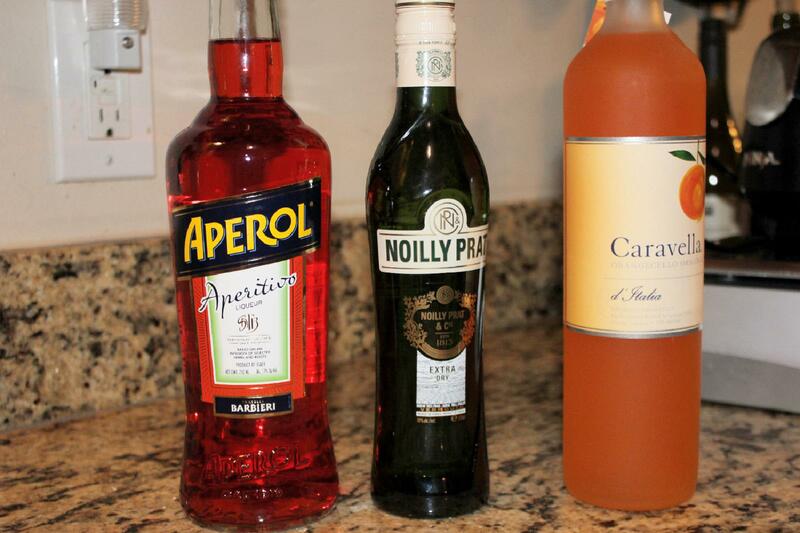 It’s surprising, since limoncello is so crazy popular. I love orange flavor. This goes on my must try list! Thanks! When you try it, let me know how it turns out! Wooohoooooo . A new cocktail recipe! Cheers.